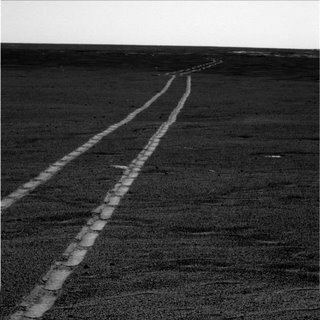 Opportunity and its sister robot Spirit , have been exploring Mars for over two years, they survived the months long space journey, the bouncy landing and the bitterly cold Martian winters. They are an incredible achievement for the American space program. Update: French Near Space explorer Michel Fournier has had to delay his super jump attempt until 2007. He was unable to raise the necessary funds in time. The high altitude sky dive record has stood far too long. Lets hope he can successfully achieve his goal next time. Will They Decide This Week?